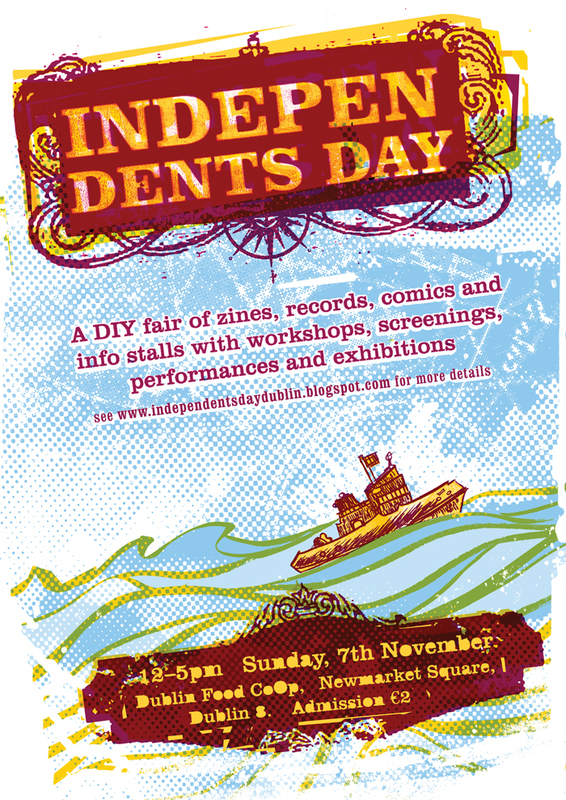 The wonderful Anto Dillon and some cohorts are organising Independent’s Day again for 2010. Now in it’s third year running, it brings together a great cross section of art, zines, independent record labels, comics, food, information and activist stalls alongside live performances and video/film screenings. Well worth checking out. I was very happy to put together the poster above to help promote the event.